The RJC aims to ensure the fair, timely and objective resolution of complaints relating to non-conformance with the RJC certification/accreditation programme or with the RJC’s own policies, processes and procedures through the RJC Complaints Mechanism. Review the admissible criteria to ensure that your complaint is within the scope of the mechanism. Complete the RJC Complaints Form (see section B of the mechanism). The RJC receives complaints from consumers who wish to raise awareness of quality issues with a product they have purchased. 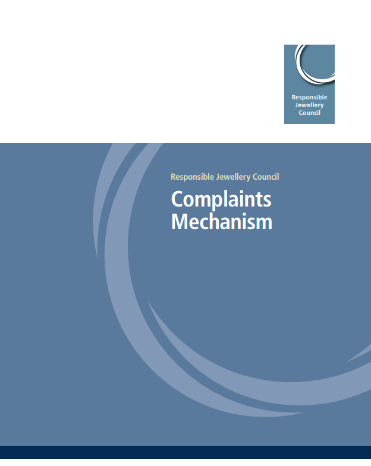 Whilst in most cases these issues would not come under the scope of the RJC complaints mechanism for investigation, we will help in any way we can to secure consumer confidence in the fine jewellery and watch industry.